In news that could be of interest to those considering buying a new car, Skoda has announced 2009 brought it an unprecedented market share of 1.9 per cent and higher sales than in 2008. Robert Hazelwood, director of Skoda UK, said the carmaker sold some 10,000 vehicles through the scrappage scheme out of a total of 37,300. 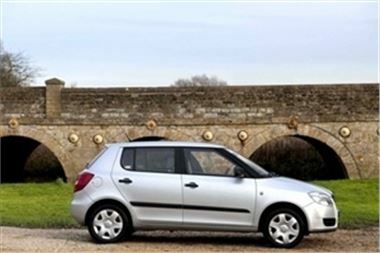 Top sellers were the Fabia supermini followed by the Octavia. It was also noted that the manufacturer had sold nearly 700 Yetis since the model's launch in September. He credited retailers for having a hand in the success thanks to their quality of service. Mr Hazelwood expressed his optimism for the coming year, saying the latest addition to the market, the Superb Estate, could boost the manufacturer's performance again in 2010. "I believe Skoda will continue to provide the design, value and service that customers across the UK desire," he added. Back in November, the carmaker released data indicating UK demand was up 45.3 per cent year-on-year. Are you buying or selling a car? Click here to see what Honest John has to say.